Cid Inc’s Replug Records begins the new year with a fresh project from Mariano Mellino & Interaxxis. Hailing from Argentina, Mariano is making his much anticipated debut on the label, while Interaxxis returns following a contribution to the critically acclaimed ‘Replugged, Vol. 2’ collection, released late last year. This is the first and highly anticipated collaboration from the Argentinean trio who collectively owns releases on Hernan Cattaneo’s Sudbeat Music and Guy Mantzur’s Plattenbank Records. 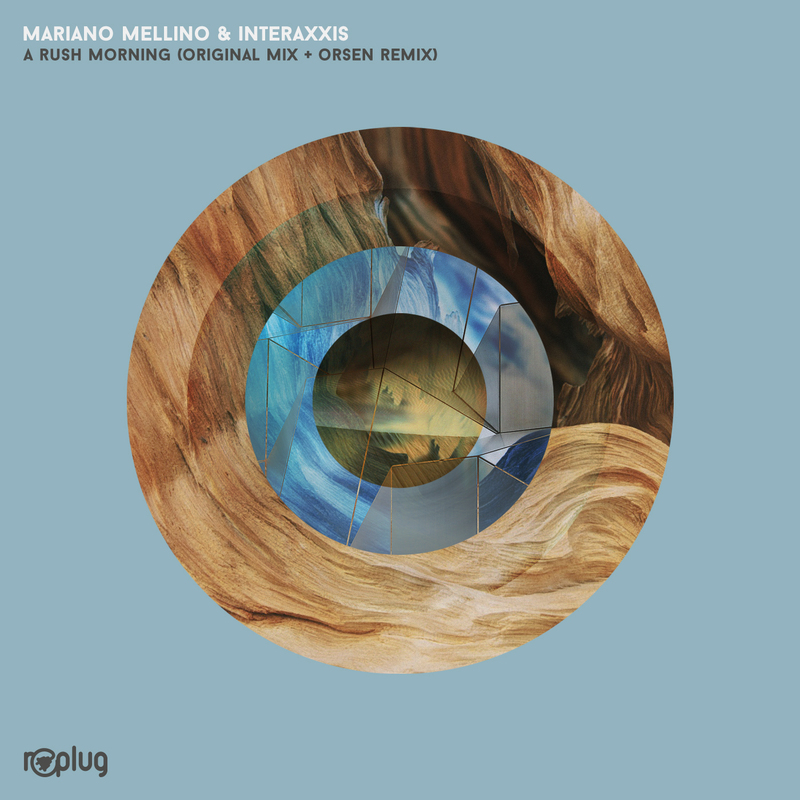 Now looking to make a mark on 2017 Mariano and Interaxxis present ‘A Rush Morning’ alongside a remix from Orsen. Both artists have been noted for spearheading the nu-progressive movement, not only in their homeland of Argentina but on a global scale as well. Groovy, musical and imminently danceable, it’s a fresh take on the roots of the genre, with ‘A Rush Morning’ perhaps defining the blueprint. Built around a warm, rhythmic core the trio expertly constructs a mesmerising narrative. Sitting at the foundation, chunky bass stabs carve out a fluid groove as bands of effects and spacey sonics steal the air. The track’s centrepiece proves to be a highlight, played out over a very compelling storyboard, with its expressive charm, cascading tones and dramatic pull leading to a dynamic dance floor moment. Perhaps a defining production for both Mariano and Interaxxis, with Hernan Cattaneo being the first to chime with support, having featured the track in his live sets all through the fall season and also showcasing it on his hugely popular Resident podcast in December. The lone interpretation of ‘A Rush Morning’ is provided by Orsen who returns to the label for his fourth appearance. As manager and co A/R of Replug, Dan Baseley aka Orsen enjoyed the best year of his career in 2016, highlighted by the Beatport #1 ‘Komorebi’ EP, released courtesy of Hernan Cattaneo’s Sudbeat Music. The UK born, Austria based artist now begins 2017 in equally impressive fashion with an outstanding interpretation of ‘A Rush Morning’. A reshaped groove brings a driving energy as trailing delays and luminous textures meander throughout the framework. Highlighting the first act, an electric take on the lead theme carries nicely into the main break, where distinctive chords deliver their own melodic sparks. A smooth second act proves reflective, before one final break delivers the last piece of this of this dramatic sonic puzzle. A step up in intensity yet still quite true to the wondrous sensibility of the original. A heady remix from Orsen and a superb offering from Replug Records to kick off 2017. Highly Recommended.